Catherine Kannam is currently the senior vice president for Chemonics’ Syria, Iraq, Yemen, and Afghanistan region. A local economic development and municipal governance specialist, Ms. Kannam joined Chemonics in 2010 as a manager. Her portfolio at Chemonics included managing the Tunisia Tax and Customs Pilot (TCP), an activity under the Asia and Middle East Economic Growth Best Practices (AMEG) project; the Jordan Cities Implementing Transparent, Innovative, and Effective Solutions (CITIES) project; and the Lebanon Water Infrastructure Support and Enhancement (WISE) project. She also served as the director of the Regional Agricultural Development Program – South (RADP-S) as well as the director and deputy chief of party for the Regional Afghan Municipalities Program for Urban Populations (RAMP UP)– South in Afghanistan. She also supported Afghanistan election programming while at the International Foundation for Electoral Systems (IFES). 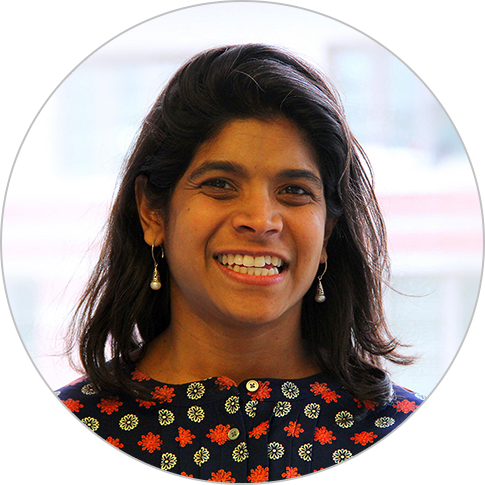 Ms. Kannam began her international development career as a junior program officer in New Delhi India with the Praxis – Institute for Participatory Practices through the American India Foundation Clinton Fellowship for Service. She holds a bachelor’s degree from the college of social studies at Wesleyan University and a master’s degree in South Asia studies and international economics from Johns Hopkins University, SAIS.